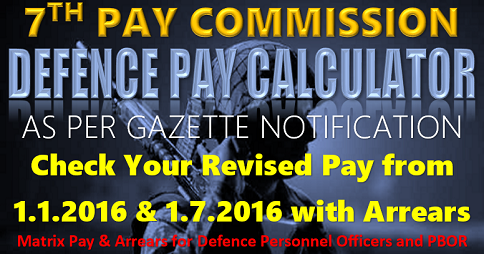 We have presented an easy-to-use calculator here for you to calculate the likely Dearness Allowance hike from July 2016 as per 5th, 6th and 7th CPC. Enter your imaginary AICPIN for the months in blank white spaces and get the DA hike from July 2016. 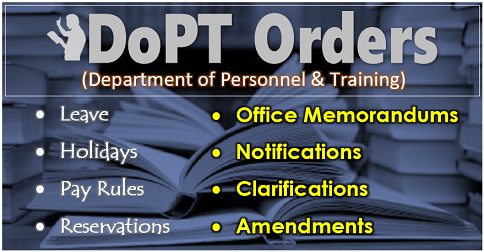 “On 29 August 2008, the government announced it decision to implement the report on “structure of emoluments, allowances, conditions of service and retirement benefits of Central Government employees including… the Defence Forces”, ‘subject to some modifications’. :p 28. 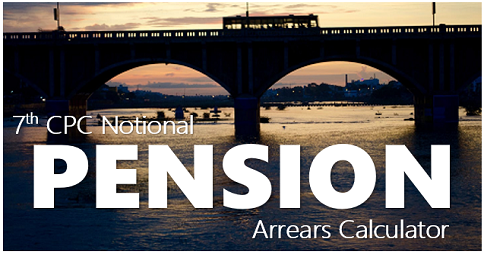 The retirement benefits like full pension ie 50% of basic plus grade pay on completion 20 years of service in seventh pay commission to include as voluntary retired in the month of August 2008 being above decision conveyed in August 2008 and retirement settlement dues along with monthly pension was released after six months of retirement with arrear w.e.f 20.08.2008. Pension was taken as per qualifying service of 31 years after deduction of 20 months period of leave without pay otherwise also it was 32 years 8 months service w.e.f 01.01.1981 in Central Government group ‘A’ services of civil eng taken VRS in PB IV/13 with BP+GP @ Rs 46,100 pm on Indian Railways up to 20.08.2008. 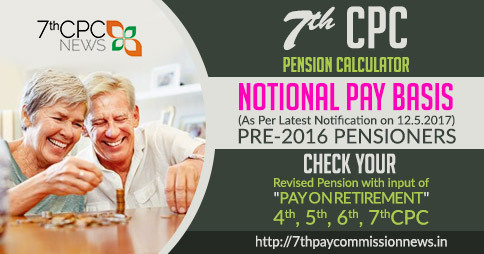 The Government web portal for pension calculator duly updated on 17.08.2016, on feeding data showing full pension basic as Rs 23050 with 31 years qualifying with voluntary retirement date 20.08.2008 and normal family pension @ Rs 13830 pm, whereas in ppo it is @ Rs 21654 pm in ratio 31/33 of Rs 23050 and family pension as @ Rs 13830 as 40% less in full pension amount of Rs 23050. portal site also showing table of commutation factor 12.05 and computing formula as .04x pension basic x commuted factor (12.05)x 12 for commuted amount with DOB 15.03.1955 as 40% of pension basic is above Rs 12 lakhs more than Rs 10 lakhs max limit fixed for commuted amount and Rs 10 lakh as commuted amount is arriving on commutation of 30% of basic pension than why 40% pension basic being deducted @ Rs 8661 pm instead @ Rs 6915 pm. 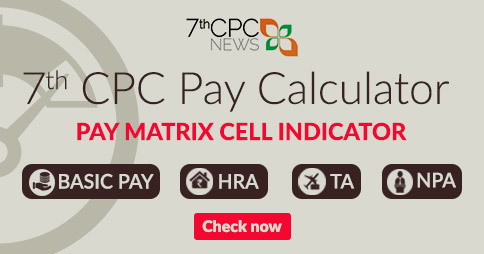 The currently updated government portal site of pension and commuted amount calculator computed + Rs 1396 pm to increase in basic pension sidewise also computing + Rs 1746 pm to increase by reducing deduction of commuted amount from Rs 8661 pm to Rs 6915 pm. 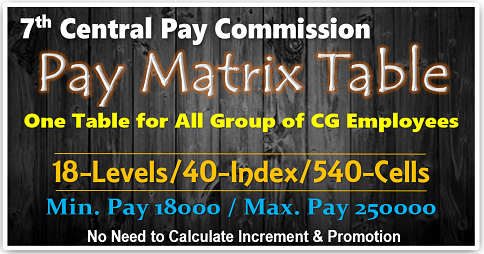 The pension calculator contracting commuted amount on max 40% as Rs 9,60,134 and commuted amount computed with commutation factor in table and its given formula amounting to Rs 13,33,212 it is more than Rs 10 lakhs as max permissible limit to draw commuted amount which is equal to 30% pension value. How much actually paid detail with bank? The implementation of seventh pay commission supposed to fix pension basic @ Rs 59238 pm and commuted deduction @ Rs 6915 pm with net monthly pension / family pension @ Rs 52323 pm instead of basic [email protected] Rs 55651 pm with normal family pension @ Rs 460990 pm on commute deduction @ Rs 8661. I am already sufferer and badly affected basic pension as betrayal of due promotions could be @ Rs 86095 pm on sup on 31.03.1955 was to be @ Rs 77100 pm after VRS from 20.08.2008 as scene compelled to t20373928536ake VRS and protect future fixed source monthly income as due pension rather than worst on aimed targeted further create scene to yrapt pension right too. 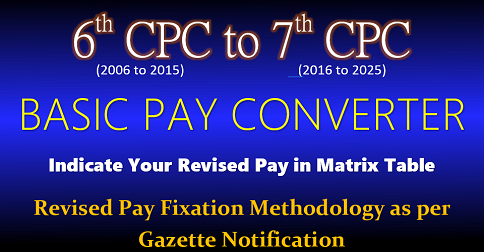 Kindly consider check correctness and rectify to receive rational amount in seventh PC pension basic & corrected commuted deduction as per website table value. Accordingly to release corrected pension amount by Allahabad bank branch pension sa/c 20373928536 in Baroda house, NRHQ office. new delhi -110001. Shall be thankful for early convey.